Attorney James Baldwin has filed an appeal regarding the Board of Selectmen special election with the Appellate Court. Baldwin represents the town and the Board of Selectmen in the court case. FAIRFIELD — Rejected by the state Supreme Court, the case involving the June 6 special election is now at the Appellate Court — And both political parties say the town’s residents should blame the other for the cost to taxpayers. The saga began in December, when Republican Ed Bateson was appointed to fill the Board of Selectmen seat vacated Dec. 1 by fellow Republican Laurie McArdlen one year into a four-year term. The remaining board members — First Selectman Mike Tetreau, a Democrat, and Republican Selectman Chris Tymniak — voted Dec. 7 to approve Bateson. The town charter calls for a replacement to be appointed within 30 days; if not, then the process outlined in state statutes kicks in. Democrats collected petition signatures for a special election, but Republicans said the town charter only allows a special election if an appointment is not made. Bateson and Tymniak refused to approve a special election date, causing Democrats to file for a writ, and Superior Court, Judge Barbara Bellis ordered the election be held June 6. James Baldwin, who represents the town and Board of Selectmen, asked Bellis to certify an appeal for expedited review by the state Supreme Court. She denied the request, and Baldwin petitioned the state Supreme Court directly March 30. Chief Justice Chase T. Rogers denied it, without prejudice, April 6, forcing the plaintiffs to go to before the Appellate Court, rather than skipping directly to Connecticut’s highest court. Consequently, Baldwin filed a brief April 11 with the Appellate Court, listing two issues for the court to address: Whether Bellis “properly determined that the town of Fairfield is subject to the special election procedure set forth in Chapter 146 of the General Statutes even after a vacancy in the office of selectman was filled within 30 days under the town’s charter,” and whether she had the legal basis to shorten the election schedule. While Millington cites the agreement between the parties to accept a town committee’s recommendation, it was Republican Selectman James Walsh who previously refused to approve Tetreau as interim first selectman when Ken Flatto resigned to take a job with the state. After 30 days, Democrats elected to town boards and commissions voted to install Tetreau. The term was up for election a few months later. Recently, Tymniak and McArdle appointed the father of Tymniak’s campaign manager, who switched his party affiliation from Republican to unaffiliated, to a Democrat’s seat on the Police Commission. Millington said the selectmen have a legal right to request an appeal but no formal vote was taken by the board to authorize an appeal. Baldwin said it was understood from the beginning that he would take any court action necessary. “The Democrats had no concern about the expense to the town when they took this route, knowing full well that any decision could face an appeal,” Millington said. The legal cost is not yet known. Baldwin, hired by Tymniak and Bateson at a special Board of Selectmen meeting they called themselves, has not submitted any bills yet, according to Fiscal Officer Robert Mayer. He said the town has neither a written nor oral agreement as to Baldwin’s rate. “It is not normal procedure to proceed without an agreement,” Mayer said. The town does have an oral agreement with Robert Morrin, the attorney originally appointed by Tetreau to represent the town. Since Tetreau’s stance on the special election differs from Bateson and Tymniak, Morrin has stayed on, representing the first selectman. No bills have been received from Morrin, whose rate is $195 per hour. 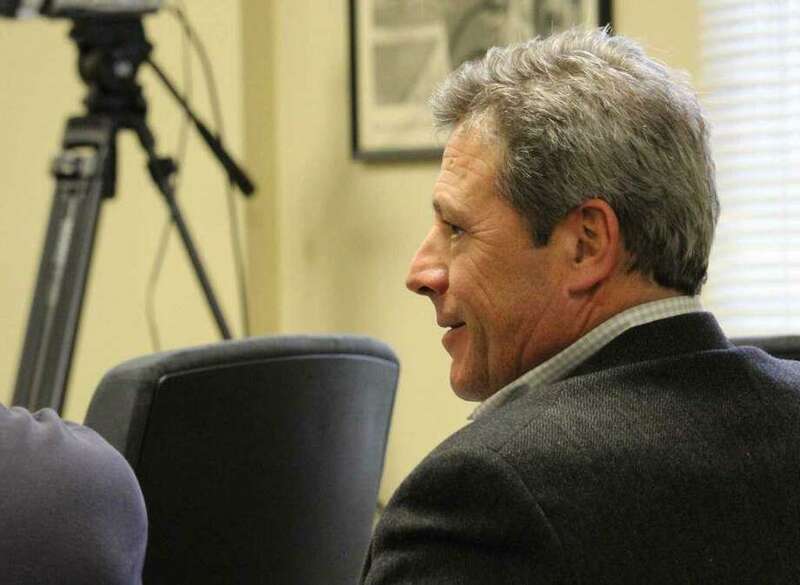 Tetreau chose Morrin as the town’s attorney because Town Attorney Stanton Lesser’s opinion regarding the special election had been rejected by the board’s GOP majority. Lesser’s opinion was that the special election was proper and the selectmen were required to set a date.